The FCC will begin a process to repeal the agency's 2015 regulations in May. The U.S. Federal Communications Commission will vote on May 18 to kick off a proceeding to “reverse the mistake” of the agency’s 2-year-old net neutrality rules, FCC Chairman Ajit Pai said. The rulemaking proceeding would be the first step toward repealing the regulations and reversing the agency’s 2015 decision to classify broadband as a regulated, telecom-like service. Pai didn’t provide a lot of detail about his proposal during a speech Wednesday, but during the rulemaking, the FCC will seek public comment on how best to move forward with new net neutrality rules or guidelines, he said. The FCC is scheduled to release the text of Pai’s proposal on Thursday. The FCC’s tough net neutrality rules, which departed from two decades of light regulations, addressed a problem that didn’t exist because ISPs weren’t blocking web content and services before the FCC passed the rules, Pai said. The government doesn’t belong at the “center of the internet,” Pai added. “The choice in front of us could not be clearer,” he said. “Do we want the government to control the internet, or do we want to embrace the light-touch approach” from the last two decades? The FCC’s 2015 net neutrality, or open internet, rules reclassified broadband as a regulated, common-carrier service—as opposed to a lightly regulated communications service—as the foundation for regulations that prohibited broadband providers from selectively blocking or slowing web traffic and services. The rules did not regulate internet content. Pai’s proposal to remove so-called Title II telecom regulations from broadband would leave net neutrality protections without a solid legal foundation, said Senator Ed Markey, a Massachusetts Democrat. Net neutrality without authority from telecom regulations is “like saying you value math, but you don’t really like numbers,” he said Wednesday. Supporters of the current net neutrality rules promised to fight Pai’s efforts to repeal them. The FCC should expect a “tsunami of resistance” as it moves toward a repeal of the rules, Markey said. Digital rights groups Free Press and Fight for the Future pledged to mobilize internet users to oppose Pai. 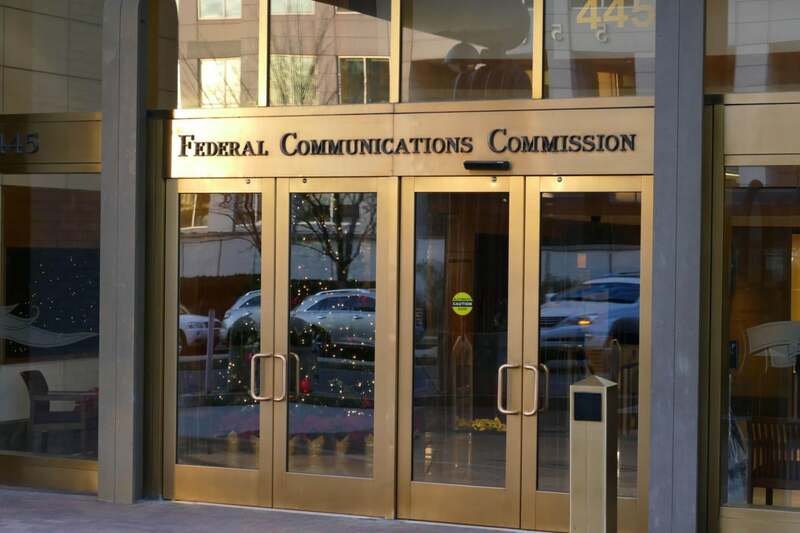 The FCC received about 4 million public comments in the rulemaking proceeding leading up to its 2015 regulations, with the large majority of people supporting strong net neutrality rules. “Hell hath no fury like the internet scorned,” said Evan Greer, campaign director at Fight for the Future. On Wednesday, in a letter sent to Pai, more than 800 startups and investors called on the FCC to save the net neutrality rules. Several internet pioneers spoke out for deregulation, however. Telecom-style regulations of the internet will create “mayhem,” said John Perry Barlow, co-founder of the Electronic Frontier Foundation. Unlike Barlow, the EFF supports the FCC’s net neutrality rules. Barlow suggested the net neutrality rules do the exact opposite of one of their main goals—to protect free speech online by requiring ISPs to treat all traffic equally. “As soon as you allow any government anywhere the ability to impose regulations on the internet, you are doing ... great harm to advance the right to know,” he said. Pai, in his speech, argued the FCC rules deter deployment and other investment in their networks, echoing other critics. There’s little evidence that the rules have hurt investment, however. Broadband providers spent US$76 billion to upgrade their networks in 2015, the second highest total since 2001, according to USTelecom, a broadband trade group. Pai suggested investment by large providers declined more than 5 percent between 2014 and 2016, apparently citing economist and net neutrality critic Hal Singer. In recent quarterly earnings presentations, executives at AT&T, Comcast, and Verizon have all touted their network investments, and just this month, Verizon announced a US$1.05 billion deal to buy fiber from Corning. But the impact of the net neutrality rules on broadband investment would play out over several years, said Tom Evslin, founder and former CEO of VoIP provider ITXC. The FCC has taken few actions to enforce the regulations, he said.